Cost effective and suitable for homes with no chimneys. One of the major benefits of an electric fire is the ability to be able to use heat output and flame effect independently, so no matter the temperature outside, you can enjoy stunning flame visuals inside creating a feature piece all year round. 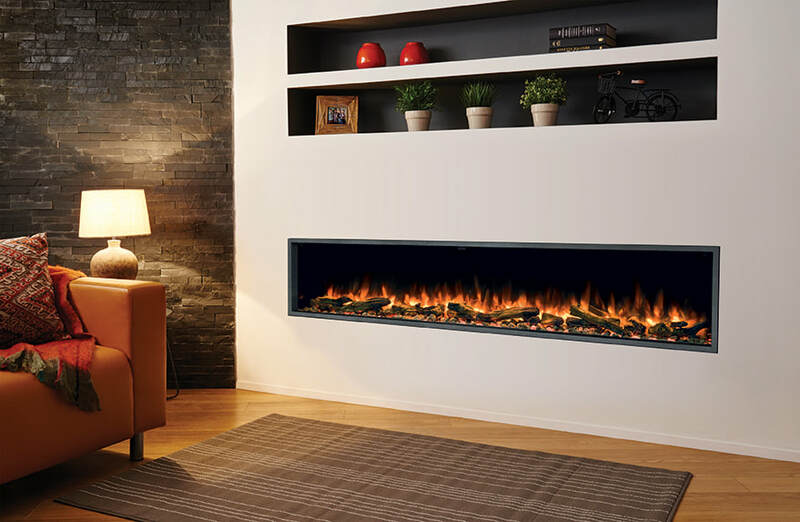 Suitable for any home, both modern or traditional, an electric fire and transform a room instantly, bringing that homely warmth that only a fire can bring, with the added ease of simple installation, and cost effective running. Traditional electric fires to fit into a traditional fire surround come in a standard size known as 16 x22 and for this type of fire Ash & Embers work with Celsi, Evonic, Burley and Flamerite. 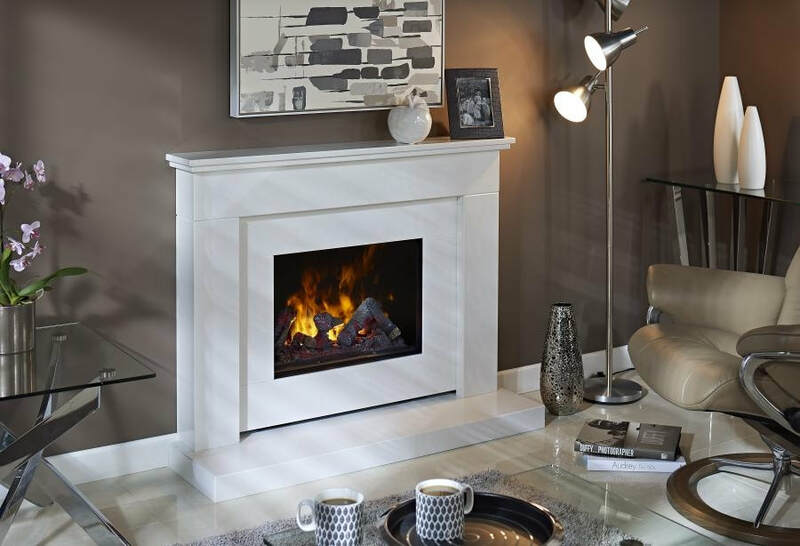 For a wide contemporary electric fire the market leader has to be the Dimplex Opti-v. Available in two sizes this will hole in the wall style fire has an incredibly realistic flame effect using the combination of video and 3D log effect.